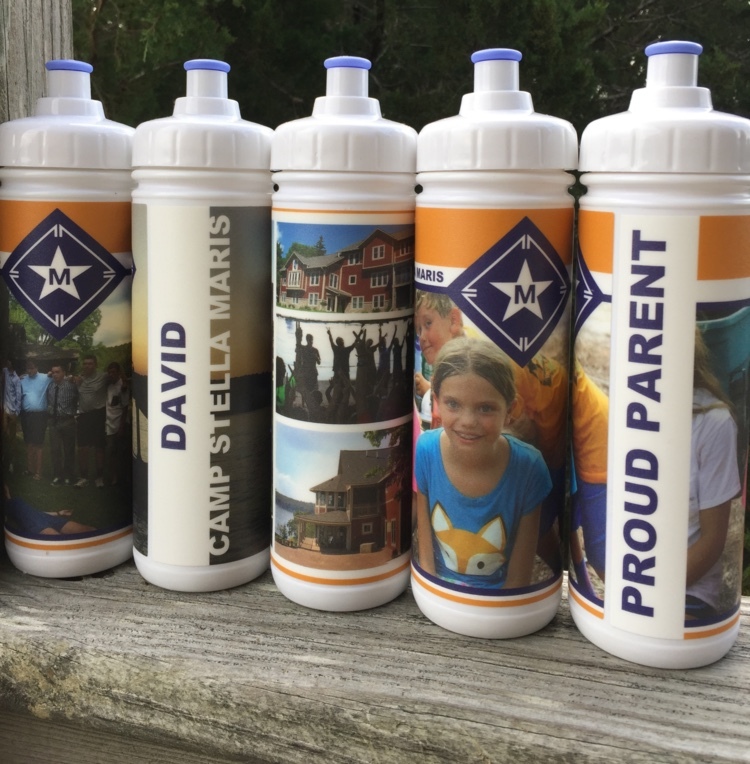 Your campers arrive on move in day and pick up their personalized water bottle providing a warm welcome. 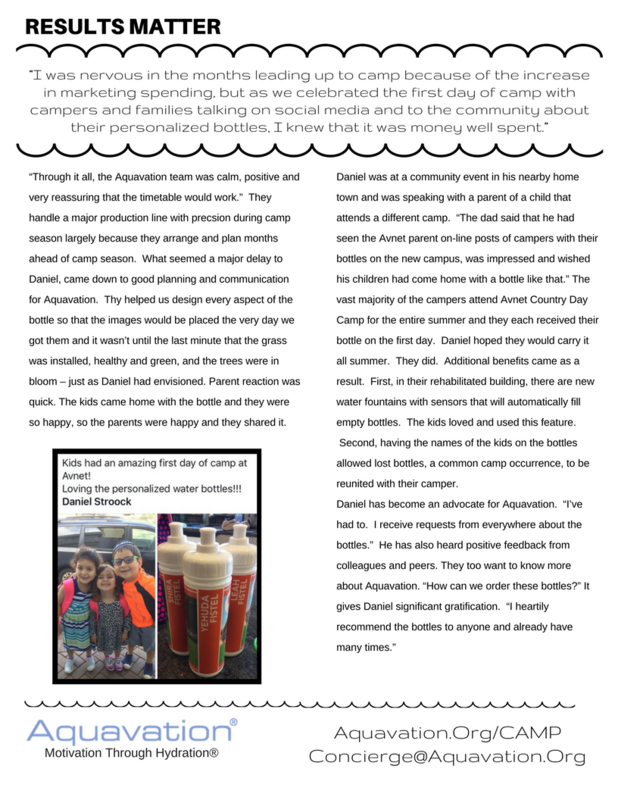 Aquavation® creates one-of-a-kind water bottles. We call it Personalized Quantity. We spent three years perfecting our offering for the Camp Industry and we are amazed at the response. We fit with camps like a rope swing fits a lazy river! 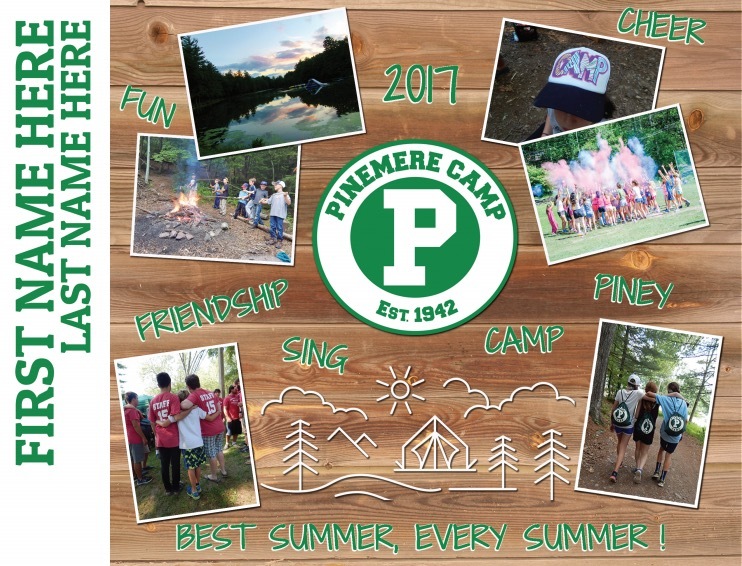 Our experiences with Camp Directors means when you call us, we can share what your collegues are doing and then tailor a solution perfect for you. We personalize with name, photos, logos, colors, anything. Keep it green - NO MORE bottles in lost and found! If you can dream it, we can deliver it. Use the link above to contact our Concierge to find the perfect offering for your camp. For camps hosting a fundraising golf tournament, come learn about our exclusive Bottle Bingo™.